Generally, cooking requires medium or high-medium temperatures whether you are grilling or smoking. 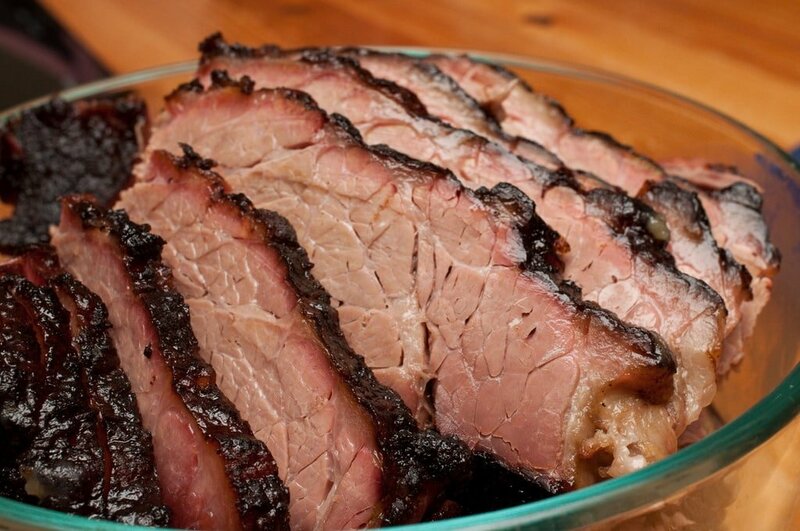 You don’t have to adjust your smoker or grill to its highest temperature to obtain the best flavor. In fact, too high temperature only results in your meat being dry and tough, not certainly the delicacy you desired. Moreover, grilling at too low temperatures isn’t also advisable because it generally slows down your barbeque. The best method to achieve temperature stability on an ordinary grill is to close and open the vent to regulate temperature. Opening of the vent increases temperature while closing decreases grilling and smoking temperature. Most important to note is the point that grilling temperature is never absolute but relative to what you are cooking. For this reason, we would advice carefully reading your use manual to effectively use the right temperature for the right type of food. This is a dangerous mistake often committed not only by newbie but also regular smoker. The genesis of it is unpreparedness. In effect, accidents are usually the consequences of this tendency. Many a times, you might find yourself flipping fish, burgers, brisket and pizza using tongs. This is just one of such common instances when grillers use BBQ tools inappropriately and at the wrong time. Definitely, you don’t want shred your fish, split your burger or make holes in your pizza. So try to use spatula instead. We recommend using tongs with chicken, hot dogs, ribs, pork chops, steaks and skewers. In the end, you realize that that every tool used in the right way culminates into your expectations. Too much of peeking is never advisable in as much as you are up for a perfect barbeque. It leads to the interruption of proper oxygen flow which is vital to the realization of excellent taste. Further, too much of peeking affects your cooking time. Reason, every time you open the lid to check your food there is a 20 to 30 degrees temp drop. To avoid this, put your food inside the grill and use your remote thermometer. Then let your food cook to the approximations of your thermometer indications. Checking once in a while isn’t too bad, but only when you think something is going wrong. Otherwise, anxiety would destroy everything. Inasmuch as constantly opening the lid isn’t advisable for your BBQ, your hood thermometer isn’t absolute as well. Your hood thermometer is usually a few inches above your smoker’s grates and in fact barely accurate. A remote thermometer is more trusted than a hood thermometer. If a hood thermometer is the only temperature management equipment at your disposal, utmost care and approximation are vital. As you grill or smoke, consider whether it’s supposed to be low and slow. If this is the case, you also should take it slowly. Additionally, understanding that every cook you undertake is unique and independent of the previous is vital to your successful grilling. For instance, you may have previously cooked chicken for 30 minutes per pound. It doesn’t necessarily imply that you should be spending exactly 30 minutes per pound when cooking chicken. An important adage here is that your barbeque is only ready when it is ready and not when you think it is ready. Cleanliness is core in your kitchen and failure to achieve it is not only disastrous but catastrophic in effect. Dirty grills does not at all add flavor to your food. Moreover, it is unhygienic and increases chances of diseases and infections. Equipment such as wire brush and steam cleaner are available to make your tools and equipment clean. For the purposes of ensuring utmost cleanliness, scrub your grates before and after each and every cooking session. The flavor of whichever food you are cooking or grilling ultimately depends on the type of wood you choose. Unanimously, it is doubtless that seasoned wood is responsible for the great flavor. Conversely, unseasoned or green wood results food without the desired flavor. In the same way, green wood doesn’t burn clean. Further to restrain from anything that may interrupt the flavor of your food, keep off from resinous wood such as pine. Instead, it is advisable to use seasoned hardwood such as hickory, apple, oak, maple etc. By all means, avoid being impatient because it would adversely undermine your barbeque in different ways. First, it makes you panic and through the process you destroy even what would have been perfect. Secondly, you will end up not allowing enough time for your barbeque. To avoid being impatient, ensure that you are well prepared prior to the actual cooing. To achieve this, have all the necessary tools, master all the steps and acquaint yourself with what you’re going to do. Excessive smoke doesn’t mean excellent BBQ outcomes. As you know, too much of something is harmful. Your BBQ is never an exception as far as this adage is concerned. Although smoke is generally good and essential for smoking, this shouldn’t a source of misguide to you. A great barbeque is that which leads to a thin blue line that gradually but surely promises actual and ideal results. Not to misunderstand, this doesn’t imply that you keep your smoke supply too low. At least, it should be consistent with the food you’re smoking. Lighter fluid is the best alternative whenever you are in hurry. But is this healthy in the world of barbeque? At least, not in this area. Worst of all, the smell of the lighter fluid may end up messing everything. It further adversely impacts on the flavor of your food. To sedulously do away with this mistake, take your time and use a chimney starter if you’re lighting charcoal briquettes. A chimney starter is slow but sure. To find out all about chimney starter, click here. Meat is available in a range of categories and sections including pork, brisket, ribs and so on. You have the procedure of smoking each one of these types of meat. Alternatively, you can click here to learn about the best way of smoking different types of meat. In any case, ensure that the type of meat you choose to smoke or grill is of high quality. For instance, when you are choosing ribs, ensure that the meat coverage over the bone is sufficient. Avoid too much surface flat. Every cooking technique has a suitable moisture technique recommended. Most wood-fired cooking techniques use the ideal moisture level ranging between 15 to 20 percent. This level is ideal for both direct and indirect method. Very low moisture levels delays combustion of wood into a bed of coals required for the process. Just as in any other precaution, bear in mind that too much of moisture is not convenient. Neither is too little moisture level. Effective balancing starts with the type of wood you choose to grill or smoke with. If you are using ingredients that are sweeter, bolder hardwood is more advisable than a fruity type. You can thus use hickory, ash, beech or oak to have a well-balanced taste, flavor and odor. On contrary, if you are using fruity wood, you don’t necessarily have to use fruity ingredients. What you are looking for is the best aromatic flavor. These are not the ways through which great barbeque is achieved. Essentially, what matters is the extent to which you are creative with your blending. Soaking of the wood chips or wood chucks has a cooling effect which in turn slows down the cooking process. In so doing, the effect is more cooking time. In fact, the amount of energy required for temperature control goes up. An exceptional case to this precaution is when you want to traditionally smoke food that will take relatively a lot of time. However, this requires a substantial investment of time and expertise. In ordinary circumstances, you rather simply avoid soaking of wood chips or chunks. Ideal smoking and grilling requires two cooking zones- hot zone and cooler zone. This way, you can constantly move your meat from one side to another to balance the cooking. Otherwise, if you cook on the hotter side alone will end up producing charred but raw meat. On the other side of the process, you risk undercooking your meat. In a nutshell, the above noted mistakes are basically common among both beginners and regular users alike. For this reason, everyone needs to be on the watch out while grilling and smoking to avoid them as much as possible. There are many other mistakes not identified in this article and not identified anywhere else. But correction of one mistake would automatically lead to prevention of other mistakes as well. If there is a way you can grill and smoke without mistakes, it’s to try and observe care. This entails strictly adhering to instructions, including those on the manuals.